A wonderful person once said that to be happy in the midst of troubles is the true mark of a survivor. It is said that to become happy one does not have to run behind happiness like a fool, it is not a race where one gets to run behind happiness. It is a pleasure of the universe which one needs to know how to cherish and find in humble things of life. 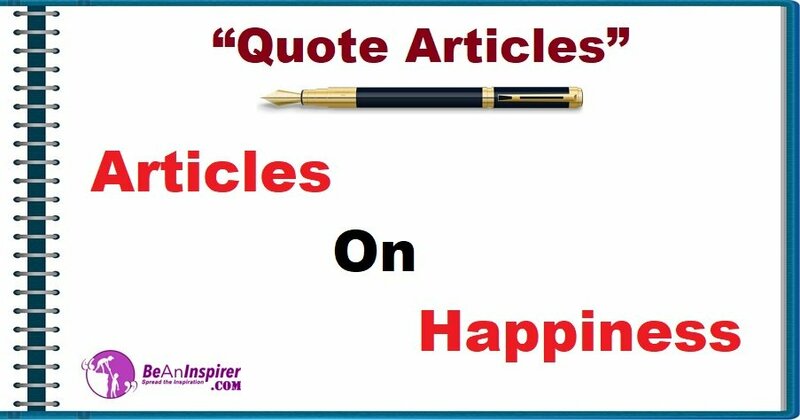 If you believe in the same motivation to be happy in life, please check Articles on Happiness in the Quote Articles section combined with nature photographs.